Havards Blackmoor Blog: The Id Monster Revealed! Some time ago my friend Rafael suggested to me that I try to track down the novel the Voyage of the Space Beagle by A.E. Van Vogt. 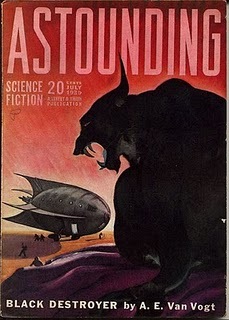 "The Space Beagle" part of the title itself suggests a connection to Blackmoor of course, but I was even more surprised to see the appearance of a creature, the Coeurl, feeding on the "id" of local creatures. The Coeurl originally appeared in the novel Black Destroyer, also by Van Vogt, but that entire story was incorporated into the Voyage of the Space Beagle. I have seen discussions about the Coeurl on D&D related forums in the past, as the same creature is also the inspiration for the iconic D&D monster, the Displacer Beast. 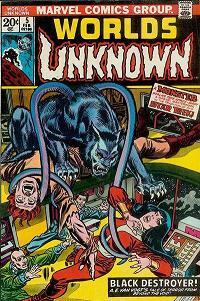 I never made the connection to Blackmoor though, before I saw the passage about the creature feeding on "id". The First Fantasy Campaign describes the Temple of Id, ancient ruins, where a creature known as the Id Monster, lurks, though a proper description of the creature was never provided. Untill now. 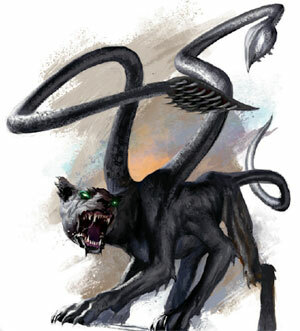 I'd like to think of Arneson's Id Monster as a kind of mother of all Displacer Beasts, perhaps being the one from which all other Displacer Beasts were spawned. In our PbP Blackmoor campaign, we are in the midst of a fight with such creatures right now. Thanks to Bobjester for providing additional information and links to this article! *g* About as "legally" as http://www.youtube.com/watch?v=k97JZHTCVbM&fmt=18 ? > "where a creature known as the Id Monster, lurks, though a proper description of the creature was never provided"
"The one who grabs the Jewel and escapes is then pursued by the Id Monster that only he can see". Osric has the coeurl? My understanding is that it is the intellectual property of Ashley Grayson Literary Agency. 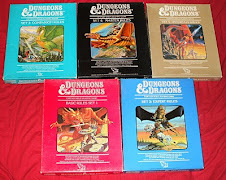 Paizo got permission to use it for http://www.pathfinderwiki.com/wiki/The_End_of_Eternity; found at http://paizo.com/store/byCompany/p/paizoPublishingLLC/pathfinder/adventurePath/legacyOfFire/v5748btpy87ux. Their illustration of it may be seen here: http://media.photobucket.com/image/coeurl/Phantom_Isle/Pathfinder/Coeurl.jpg. Heh, Havard you always find the best pictures! I still prefer the Forbidden Planet Id monster image, but I love the idea of the Id monster giving "birth" to hordes of displacer beasts. Awsome.